A new study from the GBTA Foundation, in partnership with Concur, explores priorities and challenges corporate travel programs face today. As the travel industry evolves in response to mobile technology and employee direct-booking behavior, travel professionals are finding they need to modernize their travel programs not only to control costs, but also to increase overall travel and expense visibility. When it comes to travel program effectiveness, travel professionals report direct booking as a primary challenge. Direct bookings are becoming increasingly popular given a growing preference among business travelers for a self-service approach to booking – not to mention the fact that traveler satisfaction with company-preferred booking tools has not always kept pace with supplier tools. Increasingly, suppliers are now offering incentives to book direct, and mobile technology makes it easier for business travelers to connect with suppliers, as well. Travel professionals are trying to bring together mobile technology and the corporate travel process to not only enhance the traveler experience, but also increase employee compliance. 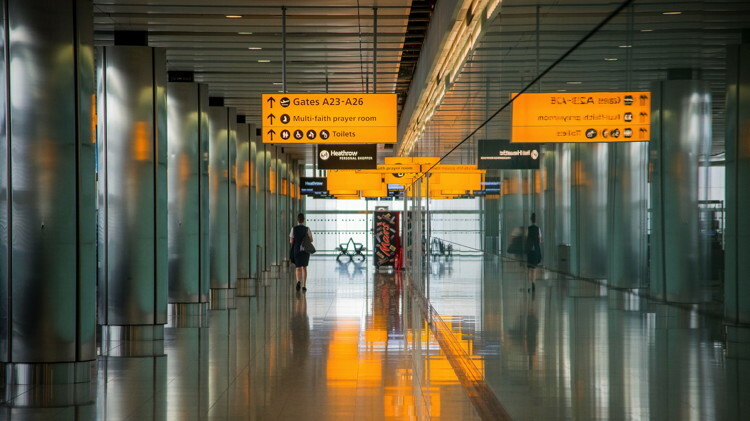 Travel professionals cannot fully achieve their top-level priorities of duty of care and cost savings, however, without addressing direct booking. Travel professionals agree the lack of visibility caused by direct booking has duty of care implications. 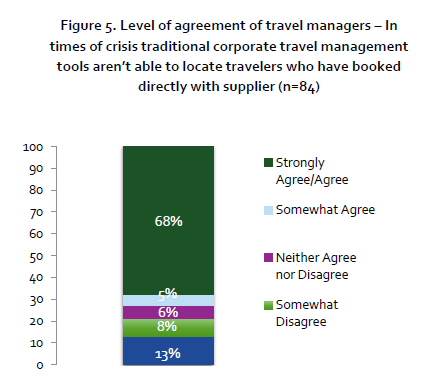 The vast majority agree that in times of crisis, traditional corporate travel management tools aren’t able to locate travelers who have booked directly with suppliers. Unmanaged supplier direct booking can lead travelers to unknowingly ‘miss-out’ on negotiated rates and amenities, and ultimately pay higher prices. Next Steps: What is a Travel Professional to Do? Driven by the need to control invisible spending and adjust to new trends in traveler behavior, travel professionals are turning to technology to capture direct booking data. Some are making it easier for travelers to share their trip information, while others are using an automated data capture system, among other methods. Some also rely on expense reporting data—but because it is received after the trip—this approach causes serious duty of care implications. With rapid industry changes, travel professionals realize that being prepared for future change is more critical now than ever before. They agree that there are still obstacles to overcome with technology and risk management, but are confident the evolution of technology in these areas will continue to offer greater capabilities. They feel they are making strides in gaining valued data that can drive greater cost savings and implement more duty of care responsibilities. Both travel professionals and travelers ultimately want what is best for their company—and while direct booking may pose some challenges—many opportunities exist, as well. It is possible for travel professionals to reach critical program priorities while also meeting traveler preferences, if the proper technology is implemented. Methodology: This study used both a qualitative and quantitative approach. The qualitative side is based off of 11 in-depth interviews of travel managers in the United States and Europe, mostly from organizations with mature travel programs, conducted in June 2016. The quantitative side consisted of a supplemental survey completed by 84 U.S.-based travel managers fielded from July 7-12, 2016. Read the Full Report: The study, Travel Programs: Challenges, Priorities and Implication, is available free of charge exclusively to GBTA members by clicking here and non-members may purchase the report through the GBTA Foundation by emailing pyachnes@gbtafoundation.org.